Hearing conservation is big business. According to the Centers for Disease Control and Prevention (CDC), 22 million Americans are exposed to hazardous noise levels on the job annually, making noise-induced hearing loss one of the most common work-related injuries. Protecting workers’ existing hearing and training them to take personal responsibility for their hearing health is an important part of hearing conservation but testing hearing at required intervals and monitoring for changes in hearing levels is equally important. Hearing testing as part of a hearing conservation program can bring plenty of revenue for service providers. Depending on your state and contract, providers can charge anywhere between $16 to $45 per employee for a single hearing test. With large companies employing several hundred workers and multiple service contracts, this revenue can quickly add up. Revenue aside, having audiometry in your repertoire as a service provider means you can be a “one stop shop” for companies looking to outsource the testing component of their hearing conservation programs. Adding audiometry to your service offering is no small investment. Mobile units equipped with soundproof booths and traditional style audiometers are major capital investments costing upwards of $100K. Then, there are the costs for insuring your vehicle, maintaining it and keeping it fueled up for your next onsite visit. Speaking of next visits, these can get costly too. 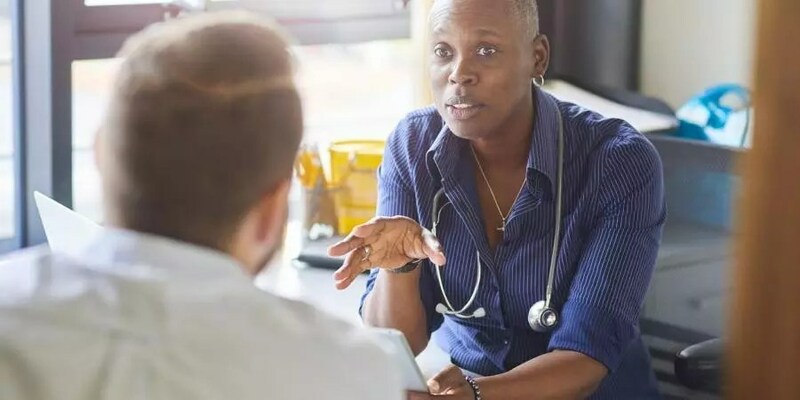 For example, if many workers are vacationing or away from work for health reasons while the provider is onsite conducting hearing tests, the provider will need to fuel up the mobile unit again for another potentially costly trip. These costs and challenges can present barriers for providers wishing to add audiometry to their services, but could there be an easier – and smarter – way? SHOEBOX Audiometry can help address the challenges providers face when expanding their hearing conservation services. This unique, innovative tablet-based audiometric solution weighs only 4 pounds and is small enough to fit inside–well, a shoebox. 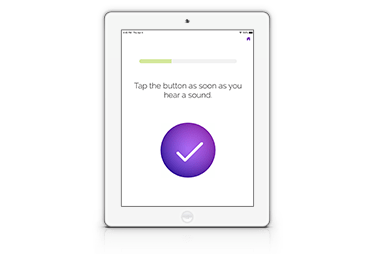 Such portability and ease of use can present advantages for those service providers who either do not currently offer audiometry, or those who already have a mobile unit but need a cost-effective option for re-tests or reaching smaller customers. 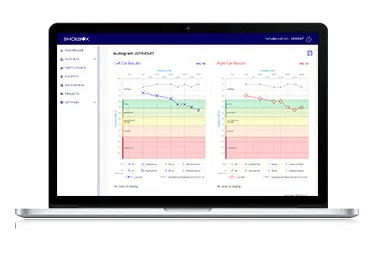 Rather than a significant upfront cost, the clinically-valid SHOEBOX Audiometry solution can be implemented for a low, predictable annual fee of approximately $3000 per device. The system has been uniquely designed to require no soundproof booth, saving you, the provider, tens of thousands of dollars. The potential to earn more revenue through hearing screenings at a fraction of the cost of a traditional mobile unit means service providers can offer their full-service hearing conservation program to employers at very competitive prices. The portability of SHOEBOX Audiometry also means greater efficiency for the service provider. Retesting employees who missed their initial appointment can be tested at a later date much more easily than is typical with a traditional mobile unit and with far lower costs. That’s why even providers who already own a mobile unit and use it for the bulk of their business may benefit from supplementing their offerings with a SHOEBOX audiometer. The cost of the SHOEBOX solution includes device-specific training necessary to get any service provider – even one who has never administered a hearing test – up and running in as little as two weeks. The automated, behind-the-scenes technology makes the system easy to set up, easy to use and easy to maintain. SHOEBOX Audiometry detects any suspicious shifts in workers’ hearing thresholds to easily identify those who need to be referred to an audiologist for follow up and treatment as appropriate. Employees will appreciate the out-of-booth experience that SHOEBOX offers, as well as the self-presenting test style. The easily portable hearing testing equipment can be set up where the employees are and moved to multiple locations in a single day reducing downtime for employees and lost revenue for companies. Language barriers can sometimes be a challenge for hearing screening providers and can make it difficult to administer a test with the most accurate results. The SHOEBOX interface is enjoyable for test subjects to use and is completely language-independent. Pre-test instructions are given to the test subject using a simple video and the test itself is a simple sorting game. 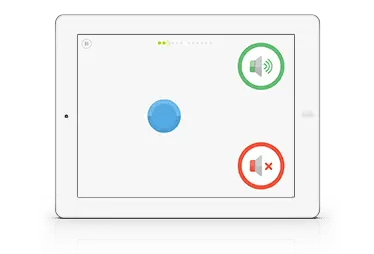 When a sound is presented, the patient simply uses their finger to drag an onscreen ball to the appropriate place on the screen to indicate whether or not they’ve heard it. It’s that simple. SHOEBOX Audiometry makes it easy to add audiometry to your business through product support, training and even equipment calibration. 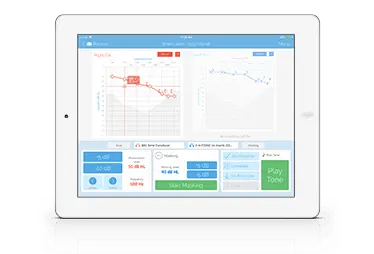 Once a provider has made the decision and contacted SHOEBOX Audiometry, they can have the clinically-valid, calibrated microprocessor audiometer and accessories in their hands in about 7 business days. Providers will receive an initial 90-minute training session to get them up and running. The support doesn’t end there since SHOEBOX Audiometry is committed to providers’ long-term success and satisfaction. Ongoing training and support is readily available by phone, email or online chat. To find out how you can add audiometry to your hearing conservation program, the best first step is to research the state-specific laws in your region, as well as any required certifications in your state. Next, watch this webinar titled 3 Tips for Adding Audiometric Testing to Your Service Practice. Then contact us at SHOEBOX Audiometry to ask us any questions, request a demo of SHOEBOX, or ask us how you can get started.